Our ward had our Primary Program today – I am a Primary teacher so I had the opportunity to sit on the stands and sing with these cute primary children and watch them as they shook and panicked on their way to deliver their parts, then happily skipped back to their seats after their talks were given, full of relief. If you read my previous post about the boy in my class I was worried about – he did great! There were only minimal, watered-down inappropriate dance moves and he delivered his part very…cleanly. Woot! The kids all rocked it. Best part is now its done. During the program and our last couple practices I have been touched each time we sang a certain song. I love all the primary songs. They’re so simple and still pack a powerful message, but this one in particular has just been music to my ears (pun intended). The more we sang this song (& believe me, we sang it a lot), the more I started directing it in my mind. The main thing I hear each time this song is sung is, “I know that my Savior loves me.” I am so happy that I do know this! I feel my Savior’s love, daily and I see His hand in my life all the time. There is no doubt in my mind of the love He has for me. I know it because He has given me my family, my husband, our baby boy, our families, our house, our abilities and talents, our friends, the gospel, etc. 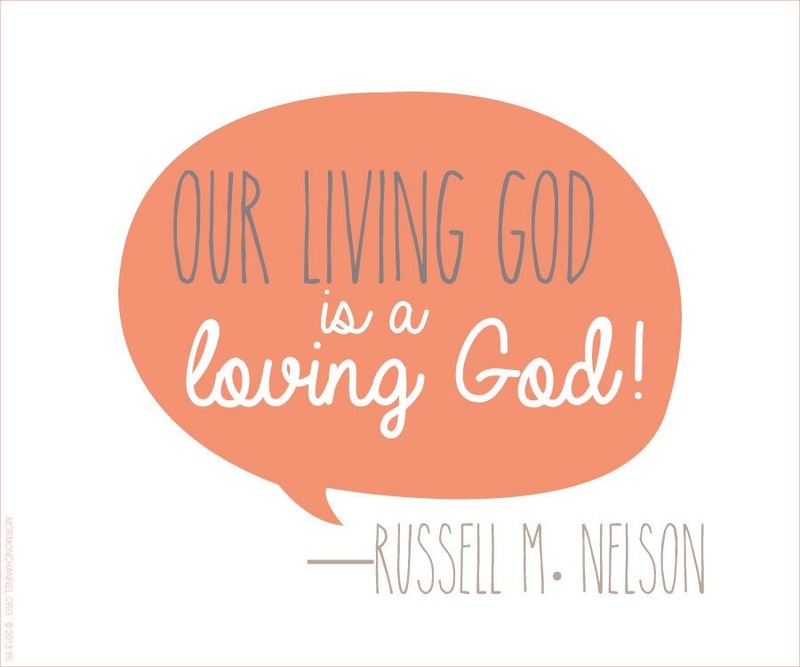 It also made me think of this quote I saw the other day on Twitter that Elder Russell M. Nelson gave.. The next thing that really stuck out to me in this song was the line that reads, “the love that He felt for His little ones, I know He feels for me..” We learn in the church that Jesus loves the children. They are so clean and pure and He even asks us to become as children – so obviously they are special to Him. This is a Primary song and as such, is sung mainly by Primary-aged children, but even as a teacher in her twenties, I was able to be reminded that He loves me just like He loves the children! He loves all of us that way! The third and final thing that really stuck out to me is kind of a parenting thing. Its funny how when you’re super close to becoming a mommy to someone, how you find parenting advice, guidance and council all over the place. The line in the second verse that reads, “parents and teachers will help guide the way, lighting my path every day…” was one of those I really thought about and felt the responsibility of parenthood. As a parent it is my job (along with Wild Man’s) to rear our children in the right direction. We are our kids most valuable teachers and the examples they’ll look up to most. I need to make sure I’m always mindful of the impressions I have the ability to leave on my kids. They watch closer than we think they do and they will do as we do. I have the power to help guide them and light their path for them! Its a big job, but also, an amazing job! I hope I can be a good momma to this Baby Boy and that he will know I love the gospel and he’ll want to do the same.